Welcome to the final day of our 3x day blog hop, i have 3 x ATCS to show you, made for a swap at the CHERRY PIE art stamps yahoo group, where our swap theme is GOTHIC VALENTINE. 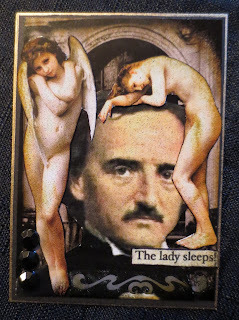 The ATC below is another from the book i posted yesterday....FOR THE LOVE OF POE. The Valentine atc below was made for the DELICIOUS DOODLES challenge...NO DESIGNER PAPERS.... you still have a day and a half to enter.... we'd love to see you there. 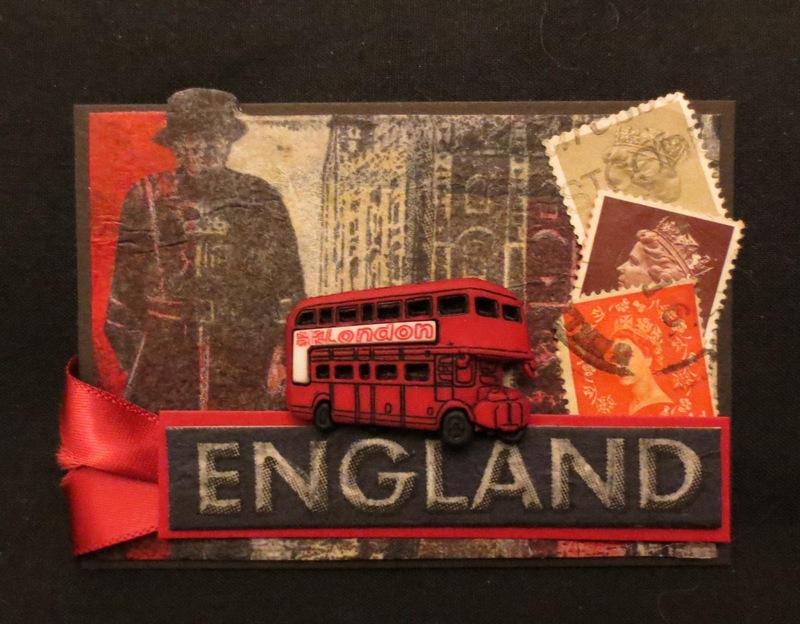 Finally today is my day to post on the DE-STEMPELWINKEL DT BLOG.... our month long theme is holidays/travel.... so i chose to make a LONDON ATC....not much to do with BLOODY VALENTINE but the tower of London has had one hell of a bloody past! 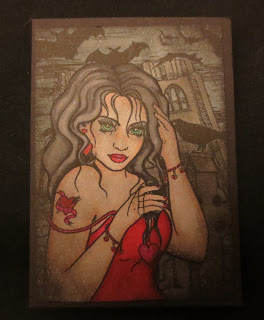 WICKED WEDNEDSDAY ATC CHALLENGE CELEBRATE THE SEASON... valentines. Great work...love everything you have posted today. My favorite is the Poe piece. What a great hop...enjoyed your artwork the past three days! Oh what a great work! 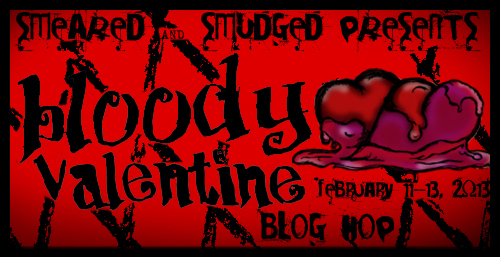 Thank you for joining at Gloomy Art. 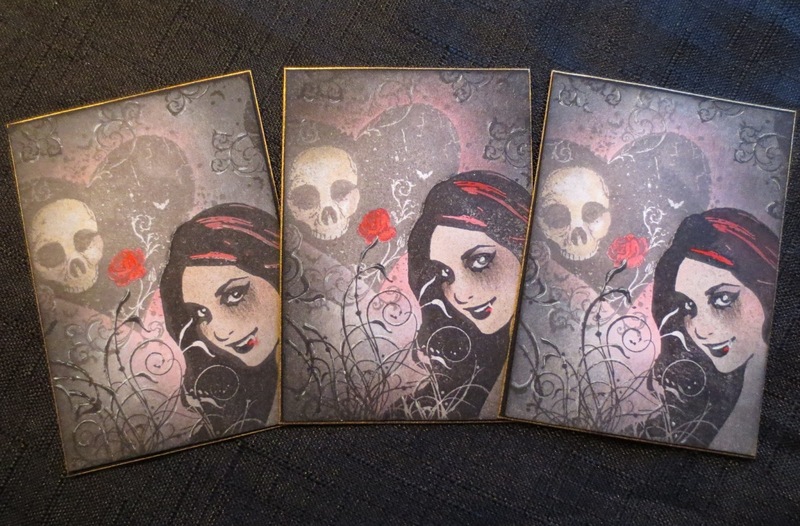 Fantastic array of gory ATCs - dramatic and delicious - love that first set of 3. Thanks so much for playing along with us at Fun With ATCs. FANTASTIC!!!! What a great work! Oh wow these are all amazing!!! Thanks for joining us at Wicked Wednesday! 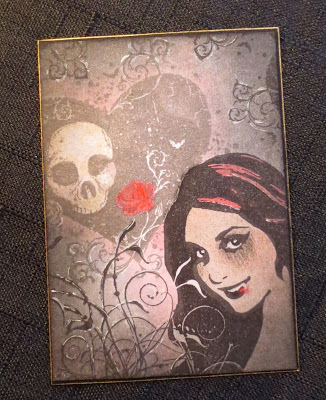 Fantastic collection of artwork! 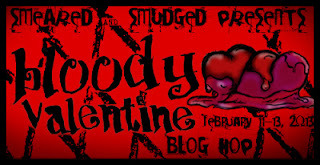 I especially like the Gothic Valentine! I am just mesmerized by your incredible work! Wonderful ATC's...all of them! Love your travel ATC, lol! Thanks for playing along with us at Wicked Wednesday this week.